Cellulite is subcutaneous fat that causes dimpling of the skin, particularly on the women’s thighs and hips. In other words, it is a fat deposit beneath your skin. It’s also known as ‘cottage cheese’ or ‘orange-peel’ appearance. Cellulite is a connective tissue disorder caused by hormones, poor diet, lifestyle, pregnancy, age, genetic, inflammation and gender. This cosmetic skin problem is much more common in women than in men and affects between 80%-90% of women at some point in their lives. It is not specific to overweight people, however, being overweight may worsen the condition. Credit. Collagen is derived from the Greek word “kólla” and the French word “gene”, which meant “glue-producing” protein. Collagen is vital for every tissue structure, and it’s the most widely available protein in the body. Thirty percent of the total protein in your body system is collagen made from amino acids. There are 28 different types of collagen. However, type 1 collagen is the most abundant, making up over 90% of the body’s collagen reserves. The body produces collagen from dietary sources that are rich in protein and amino acids. Meat, eggs, dairy, and fatty fish all contain high amounts of amino acids that will be converted into collagen by the digestive system. Bones, muscles, tendons, blood vessels, and the skin all contain type 1 collagen. Collagen gives our skin elasticity and strength while replacing dead skin cells. Collagen has many benefits, including improving the strength, elasticity, and suppleness of the skin. Therefore, it is a vital component for reducing cellulite. Collagen rich foods such as bone broth are an excellent source of collagen, and there are various collagen supplements available as well. The saturated fat found in extra virgin coconut oil contains high amounts of MCT (Medium-Chain Triglycerides). Food manufacturers isolate and extract the MCTs from the coconut oil and offer it as a health product to the retail market. MCT oil is an ideal source of energy for ketone production. Consuming a tablespoon of MCT oil in the morning is the optimal way to break a fast. MCTs bypass the digestive tract where they are directly absorbed by the liver and converted into ketones. MCT oil improves the body efficiency to burn stored body fat. This is an especially important characteristic of the oil that is important to anyone trying to lose body fat. 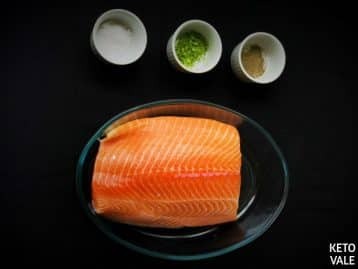 Wild-caught salmon is rich in Essential Fatty Acids (EFA) and protein. Omega-3 fatty acids contain EPA (Eicosapentaenoic Acid) and DHA (Docosahexaenoic Acid), two EFAs that have tremendous health benefits. Research shows that regularly consuming Omega-3 fatty acids will improve the health of every biological system in your body. Studies on Omega-3 fatty acids state that DHA and EPA can improve the elasticity of the skin. EFAs also increase the metabolic rate and keep your body in a fat burning mode when used alongside a ketogenic diet. Consume freshly caught fish or purchase fish oil capsules to take advantage of the biological and metabolic benefits of EFAs. With firm, dark meat that’s rich in Omega-3 EFAs, tuna should be another protein and fat staple of the your diet. Tuna has the same health benefits for reducing cellulite as salmon and allows you to add some variation of fish in your diet. Eggs are bar-none the most nutritious food on the planet. 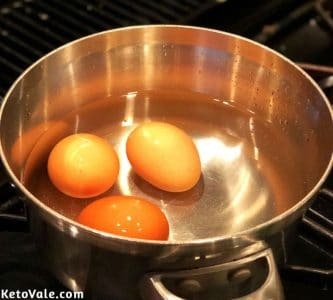 Aside from being a rich source of dietary fat, protein, and cholesterol, eggs also contain minerals and vitamins, including iron, zinc, and vitamins B12, A, D, and E.
For decades, eggs were thought to be responsible for bad cholesterol production in the body and a source of heart disease. Modern research has shown that eggs have no impact on blood serum cholesterol levels. In fact, they may improve total triglyceride levels in the blood. Eggs contain collagen and essential amino acids used for cell regeneration and new cell creation. CLA (Conjugated Linoleic Acid) is a natural trans-fat found in grass-fed animal food products. Research has shown that CLA is effective in reducing the signs of cellulite by improving metabolic functions. Grass-fed butter and ghee are rich in CLA. Make sure that you purchase grass-fed butter from a sustainable dairy that uses free-range farming methods to ensure the highest quality. 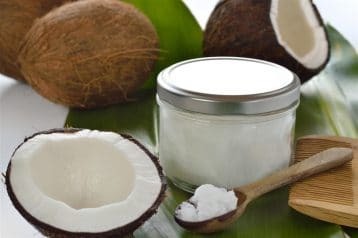 Extra virgin coconut oil is a source of plant-based saturated fat. Saturated fats are excellent for cardiovascular and metabolic health. Use coconut oil when cooking your keto meals to replace traditional sunflower oils. Coconut oil is superior to olive oil for cooking due to the saturated fat chains having a high smoke point. Saturated fats increase metabolic rate and fat-burning potential making it the ideal oil of choice for your ketogenic diet. Avocado is one of nature’s superfoods. This fleshy fruit is rich in monounsaturated fats and antioxidants that clear free radicals from your system. Free radicals build up in your body over time through events like overexposure to the sun. Free radicals will create cell death through cell oxidation. If left unchecked, free radicals will result in wrinkles and frown lines on your skin. 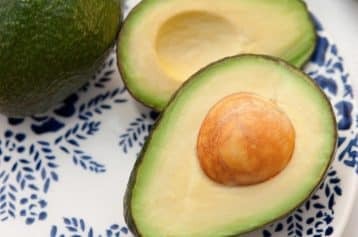 Eating avocado regularly will improve the health and elasticity of your skin by removing free radicals from your system. Cocoa butter contains natural antioxidants, vitamins, and minerals that promote the health of your skin. There is no clear research defining the role of cocoa butter and its benefits, but cocoa butter is rich in vitamin E.
Vitamin E is an essential vitamin that assists in cell regeneration. Take a hot bath with some Epsom salts and rub some cocoa butter cream on the area of your skin affected by cellulite. 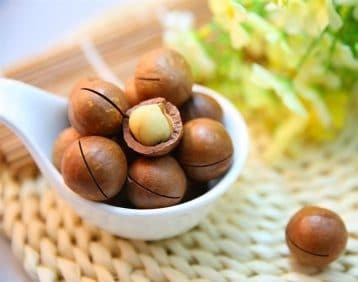 Macadamias are another source of Omega-3 fatty acids and monounsaturated fat. Macadamias are high in oleic acid. Oleic acid helps prevent yeast overgrowth in the body, disrupting the balance of gut bacteria in the GI tract. Yeast overgrowth causes abdominal bloating which can push on your abdominal cellulite and make it appear worse. Add some macadamia nuts or macadamia nut butter into your diet, but make sure that it comes with nothing but nuts and oil with no other additives. Rich in vitamin K and vitamin C, kale is a dark, leafy green vegetable that belongs in your ketogenic diet. Fiber is an integral part of a healthy diet plan. Because ketogenic diets abstain from carbohydrates, the gap in your daily fiber requirement must contain low-calorie, fibrous vegetables instead. Kale is nutritious and full of fiber, with an added dose of potassium, and calcium. Kale ensures the health of your digestive tract and ensures that your metabolism stays supercharged for fat burning. Spinach is another dark green, leafy veggie that you should include in your cellulite-busting keto food list. Spinach is rich in fiber and nutrients and makes for a fantastic kale substitute if you can’t find kale at your local grocery store. This cruciferous vegetable is an excellent cellulite-buster for three distinct reasons. Broccoli is a concentrated source of vitamin C and an excellent source of dietary fiber. Broccoli also contains ALA (Alpha Lipoic Acid) which prevents the hardening of collagen. Broccoli is one of the best vegetable sources of cellulite-fighting calcium. 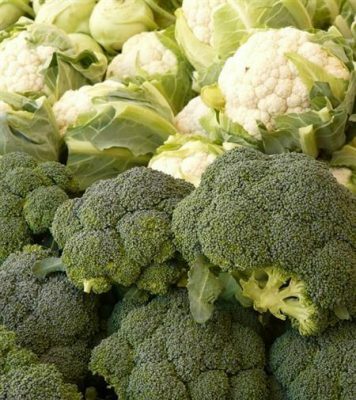 Remember to cook your broccoli before you eat it; cruciferous vegetables may create gas if consumed raw. 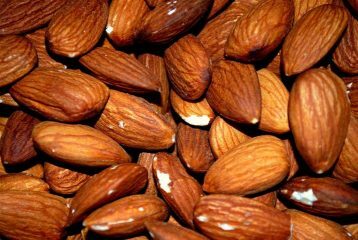 Pecan nuts are rich in Vitamin-E which improves the integrity of the cell membrane of both mucous membranes and the epidermis. Pecans contain high amounts of one form of vitamin E, gamma-tocopherols. Research proves that after consuming pecans, gamma-tocopherol levels in the body almost double and unhealthy oxidation of bad LDL (Low-density Lipoprotein) cholesterol decreases by more than 30 percent. Oxidized LDL contributes to inflammation and irritability in the skin, placing people at higher risk of developing cellulite problems if they are already overweight. Pecans contain plant sterols known for their antioxidant capability and therapeutic value for treating cellulite issues. Sprinkle these seeds over your salads, and add them to seafood and poultry dishes for enhanced flavor. Chia seeds are an excellent source of antioxidants and other vital nutrients that can help you get rid of cellulite faster by increasing the health of your GI tract and immune system. Salvia hispanica, otherwise known as Chia, is very nutritious, and two tablespoons contain 139 calories, 9 grams fat, 4 grams of protein, 12 grams carbohydrates, and 11 grams of fiber. Lean meats are a vital source of protein for any diet. Poultry such as skinless, deboned, chicken breast contains high amounts of carnosine. This potent anti-aging nutrient works against glycation. Glycation is the primary cause of collagen damage, and carnosine eliminates glycation action. Not everyone has the stomach for organ meats. However, including meats such as liver and kidneys into your meals will add variety to your diet and are surprisingly high in vitamins and minerals. Beef liver is one of the densest nutrition sources of vitamins B6, B5, B12, B2, minerals and iron. Eating yogurt in your ketogenic diet won’t throw you out of ketosis as long as you make sure it’s unsweetened. Full cream Greek yogurt has few carbohydrates and contains active probiotics that keep your gut healthy. When your GI tract is healthy, you can process and distribute collagen more efficiently. The catechins found in green tea assist in preventing the oxidation of collagen. Research shows that catechins in green tea help to promote weight loss. The effects of catechins on body composition are the result of an increase in metabolic rate and fat oxidation. This is good news for people with cellulite. 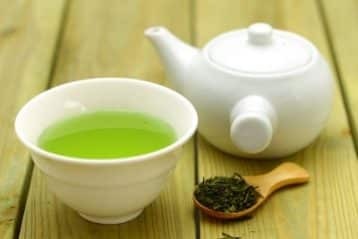 Drinking two or three cups of green tea every day is an excellent addition to your ketogenic diet. Drinking hot tea with meals aids in your digestion and keeps your gut healthy and your immune system strong. Cayenne pepper and chilies are powerful weapons for fighting cellulite. The capsaicin found in the interior walls of the chili and other hot peppers ignites your body’s metabolism into overdrive. Capsaicin is a popular ingredient in many OTC fat-burner products. The immune system also benefits from adding capsaicin to your diet. The spice clears inflammation in the GI tract and assists with the assimilation of nutrients. 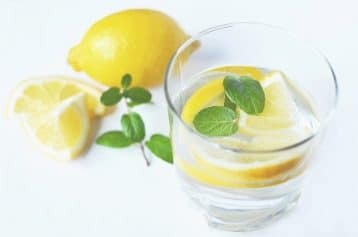 Lemon water is incredible, especially for keto diet. It helps with digestion and detoxification. It’s also a great source of vitamin C which rejuvenates the skin and body. Moreover, lemon juice (as well as lime juice) is a rich source of citric acid which may help prevent kidney stones. Turmeric has shown anti-inflammatory, antioxidant, antimicrobial, and anti-neoplastic properties and may provide therapeutic benefits for skin health. Curcumin, the active ingredient in turmeric, boosts the activity of the body’s own antioxidant enzymes and has the beneficial effects of treating skin diseases and skin aging. Turmeric is high in carbohydrate, but even though we don’t eat turmeric the way we eat our vegetables, it is still great to include it in your low carb diet. One teaspoon of turmeric has 1.4 g carbs and 0.5 g dietary fiber which means only 0.9 net carbs. You can add turmeric powder to your smoothies and drinks such as turmeric latte, or use it as a spice in your foods such as curry. Do you have stubborn cellulite? Have you tried these awesome foods?